DVD One includes The Roger Rabbit Shorts. These include "Tummy Trouble" (seven minutes, 45 seconds), "Rollercoaster Rabbit" (seven minutes, 50 seconds), and "Trail Mix-Up" (eight minutes, 52 seconds). 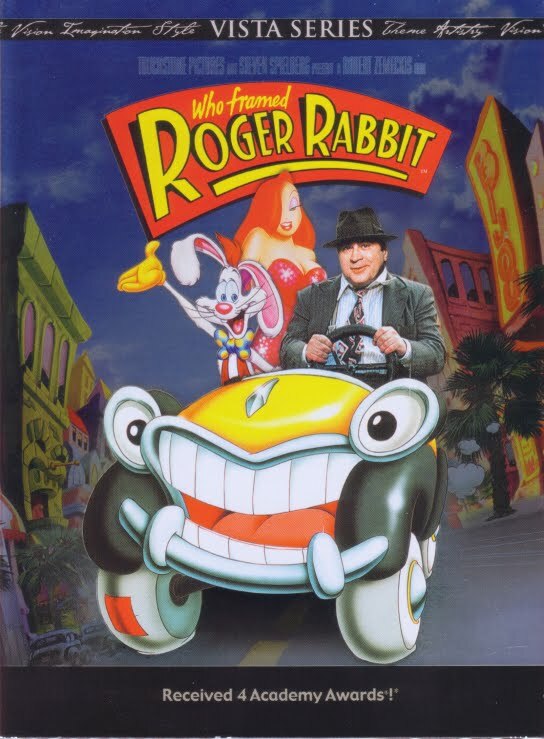 Next we get Who Made Roger Rabbit, a new featurette hosted by voice actor Charles Fleischer. During this 10-minute and 57-second program, Fleischer leads us through the film's production and gives us the basics about its creation. Since it seems meant for kids and newbies, it provides a decent little introduction. DVD One continues with Trouble in Toontown, a new "set-top" game. This involves some simple activities like shooting pies at weasels. It seems bland but mildly enjoyable, though it includes no reward for successful completion. Find out what's included in this fantastic NEW DVD set. scan "family friendly" and find the phrase "family friendly" rather condescending toward children, but it seems to be the mind set of many of the studios these days. 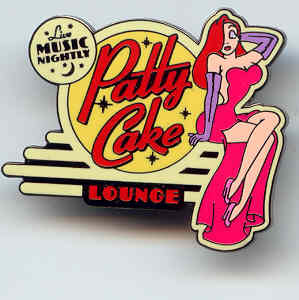 Upon the release of the second Hawaiian Jessica pin comes another pin based on the newly released Patty Cake Lounge Shirt. 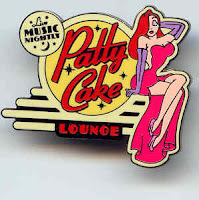 The pin in the logo from the back of the shirt, featuring Jessica and the "Patty Cake Lounge" sign - "Live Music Nightly" You can find this one on eBay going for $9 - $15. this pin is an open edition. The Second Jessica Hawaiian Pin is 3-D, and is going for up to $25 as it is a Limited Edition of 1500. Both pins can be found at Disneyland Ca.